Last time, I mentioned my slight disappointment with this restaurant in Marikina called Pan de Amerikana. After having lunch there, we went back to downtown area for more photowalk, past Marikina Sports Complex and its giant clock, and Our Lady of Grace Parish. We stopped over Kapitan Moy and savored the Spanish feel of the plaza. We then felt a bit hungry walking so we decided to have snack in CAFE LIDIA. Cafe Lidia is located in Calderon Street in Kalumpang, Marikina.The place is kinda off from the main road and the area where most commercial establishments are. More of a residential district to me so I thought it was a house converted into a restaurant.There's nothing enticing about the facade or the entrance but the interior is comfy and beautifully furnished. The inside is dim. I like dim lights, I find it romantic and relaxing. Weather it's pizza,pasta, coffee or cakes you are looking for, they have it here. 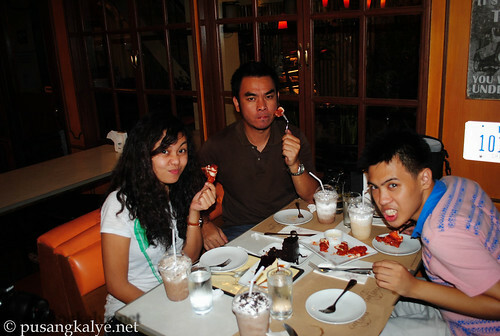 I say they have a good set of menu with reasonable prices ranging from 130-200 pesos. Reasonable because the food really taste well. We ordered iced coffee and cakes. 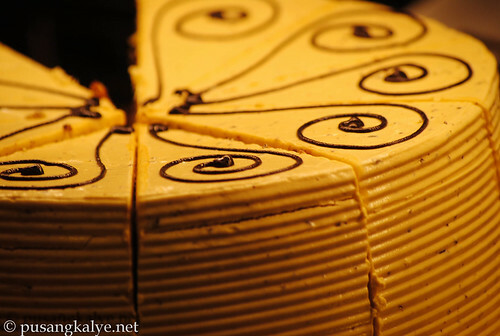 We had two different slices and its their blueberry cheesecake that I loved the most. 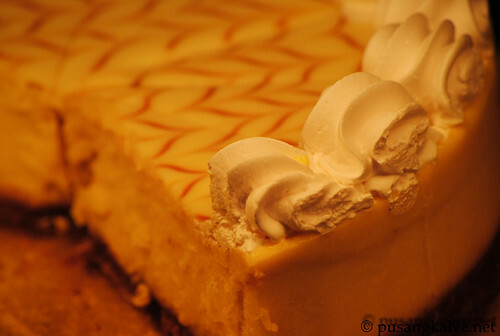 I know, I know---like blueberry cheesecake has become a generic thing in the Philippines. Like fried chicken that you can find almost anywhere you go. 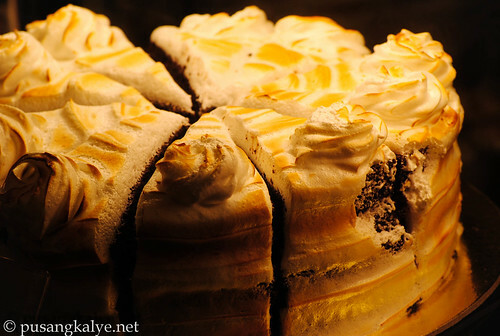 All I can say is, at least the one in Cafe Lydia is the best I tasted so far. Yun lang. I guess that's all I want to say in this post. They have the best blueberry cheesecake. No need for juicy descriptions.Just take my word for it and try it yourself if you happen to drop by. 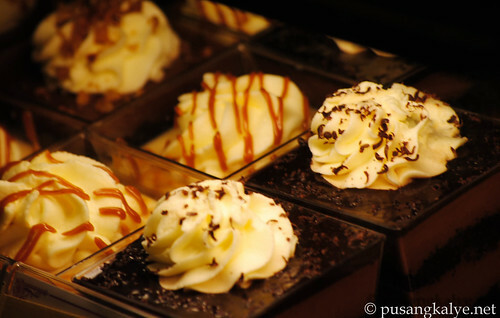 In any case you are not a fan of cheesecakes, they have an array to choose from. 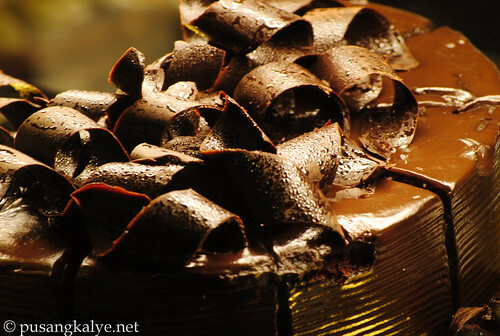 The chocolate cake is equally tempting.It's just that I already have an overload of chocolates since my wife is a chocolate addict that's why it does't appeal much to me anymore.I am sure that you will also love it though. 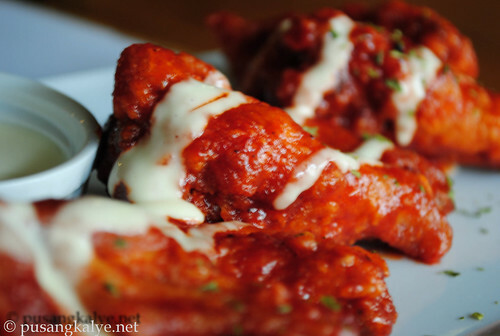 Oh, another notable food to try is the BUFFALO CHICKEN WINGS. This is another bestseller which makes Cafe Lydia famous. A little costly at 150 php for 4 or 5 pieces of chicken wings but it's worth the price. I could go on and o sampling their dishes and cakes but I was out of money that time. That's a good thig coz I might have ordered a bunch of food if I had a choice. Cafe Lydia is definitely a good pick if you want to try good food. While I said that it's in a residential area and a little not easy to find, at least its near downtown Marikina. Just ask the locals for direction and everybody ca easily point you to it. Again, the best blueberry cheesecake in and the Buffalo Chicken wings is something that you shouldn't miss. Also try their other menu, I heard many good reviews about their food. Enjoy!!! aylavet, nakatripod ang blueberry cheescake shot! visited pan de amerikana with my SIL and nephews more than 3 years ago. i agree, nothing great in there. the food is very cheap and nothing special to it. but we loved the place, anyway. 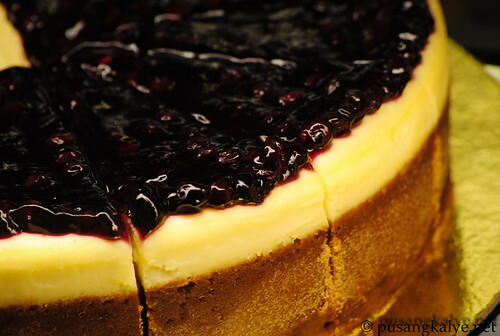 the blueberry cheesecake seems "katakam-takam" already from your pic... I want to have a slice! 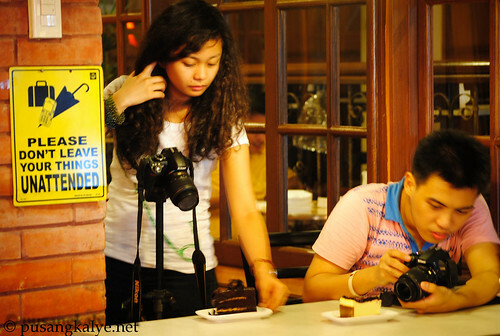 taga marikina ako, i can visit this place one time and try that cake.